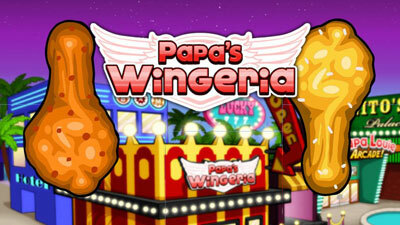 Thanks to Flipline guys, we are able to enjoy many interesting Papa’s cooking games hacked, including Papa’s Pasteria, Papa’s Wingeria, Papa’s Hot Doggeria, and so on. This restaurant management game series is too famous that it even has its own wiki. Though Flipline Studios launched games of other genres, but their cooking flash games are the best. Despite the similar gameplay, none of them is clich? ; otherwise, all are very much enjoyable. 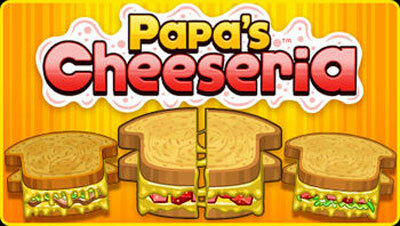 Once go to Papa’s CheeseriaHacked, you will realize there’s nothing more attractive than grilled cheese. Play this game, and you will be in charge of cooking and serving plenty of grilled cheese sandwiches. Out of all restaurant games of Papa Louie’s series, this Cheeseria version is probably most played. Have you tried out Papa’s Sushiria Hacked 2017 yet? Released in December, 2016, this game is a Christmas gift from Flipline Studios. 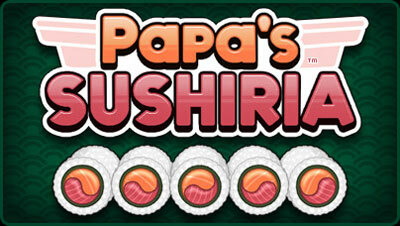 Compared to other games in the series, Papa’s Sushiria is truly a brand new game ? from new characters, new restaurant, and addictive new mini-games to tasty sushi recipes. It also makes to the list of top 10 most plays cool math games in 2018! With a lot of upgrades, the visual seems better in here; however, the gameplay has nothing different from the rest Papa’s games. Isn’t it the reason drawing you to the series, is it? It’s hard to resist beautiful sweet tasty cupcakes! Go to Papa’s Cupcakeria Hacked and learn how to make a perfect cupcake. Thanks to the in-game tutorial, you will know how to bake/frosh cupcakes and how to serve customers in the best way. The game offers a total of 4 stations that will help you complete the whole process much easier. You will get the bonus only if serving the most amazing cupcakes. 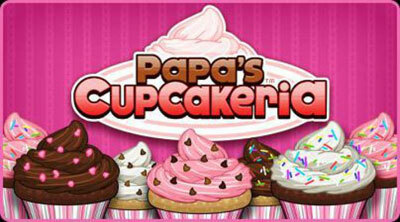 Papa’s Cupcakeria is the 8th game in the series that was released in the early August, 2013. You will find plenty of items in the menu (over 100), and some of them are seasonal toppings. Now this game is available on iPhone and iPad?download it from today! Continue in this list will be Papa’s Bakeria ? Officially launched in March 2016, it’s the 12th game in the Papa Louie‘s restaurant time-management series. Did you know that Papa’s Bakeria Hacked is a gift brought by Flipline Studios in order to celebrate the 10-year anniversary of Papa’s games? This time, you get hired to manage a new bakery in Whiskview Mall. Your task, similar to other previous versions, is to bake pies for the customers around, some are even very picky. Play through 4 seasons and 12 holidays to unlock 123 menu items and over 100 crazy customers. Challenge yourself with 7 fun mini games ? as you keep winning, you will get tons of prizes that may help you upgrade the bakery shop. Don’t know what is waiting for you in Papa’s Hot Doggeria Hacked? 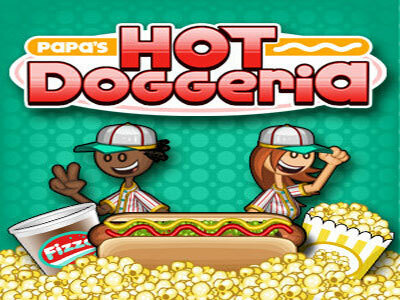 Flipline Studios launched the Hot Doggeria version in November 2012, marking it the 7th restaurant management game of the series. You along with Taylor and Peggy, two winners of 2012 Papa’s Next Chefs, will be in charge of running a hot dogshop at Griller Stadium. The truth is ? nothing new and special except the Pop Station where you need to serve drinks and popcorn. 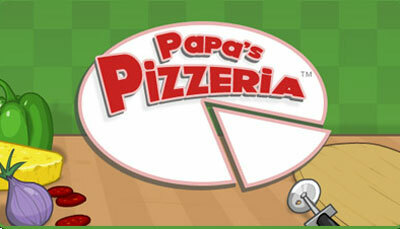 In the first time playing, you will realize the similarity of Papa’s Hot Doggeria to other Papa’s games. Yet, in fact, it comes with the most features and lots of tasks. 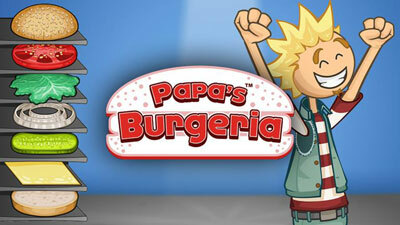 After the unexpected success with Papa’s Pizzeria, Flipline Studios has returned with a sequel called Papa’s Burgeria Hacked (December 6, 2010). As the name says it all, you are chosen to run a local burger restaurant for Papa. 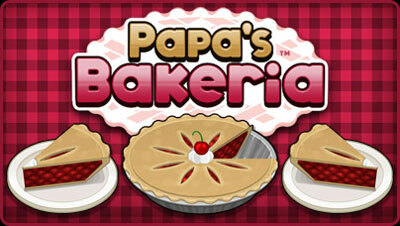 If you are a big fan of Papa’s series, you’d find 4 main attributes in other games, Papa’s Freezeria for example ? there’s always an extra station for decoration and toppings. However, in Papa’s Burgeria, you won’t focus on decoration; therefore, only 3 tabs are available: Order Station, Grill Station, and Build Station. The ridiculous thing is ? people choose Papa’s Burgeria because of its simplicity: no complicated stuff as well as confusing ingredients. Players can spend a whole day enjoy this simple restaurant management game. Guess what? The Papa Louie’s restaurant management series now has totally 14 games thanks to the release of Papa’s Scooperia (July 2018). Sadly, it is also the “last Flash game” published on Flipline Studios’ website due to the fact they will not support for Flash in 2020. The ice cream shop takes place in Oniontown ? go there and quickly craft delicious ice cream and sundaes. The ultimate task is to make your customers happy so that you can earn tips for the variety of your menu and improvement of your shop. As usual, try to win as many mini-games for extra rewards. 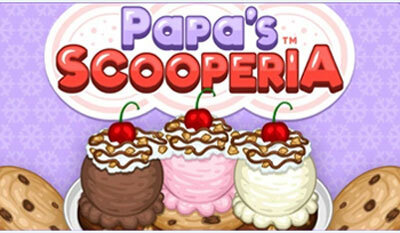 This time, in Papa’s Scooperia, you will surely be surprised with tons of new stuff offered. Feel curious about the first Papa’s game? It’s Papa’s Pizzeria! Flipline Studios decided to launch it on August 7, 2007. With an epic gameplay and suitable for players of all ages, this cooking cool math game has brought its developer an award. Nothing complicated or confusing, Papa’s Pizzeria Unblocked is all about serving tasty pizzas for customers. When playing this game, you will have to learn how to take orders, how to bake pizza and fill it with toppings, how to cut, and how to build it to its final shape. The Pizzeria version is not hard to play; however, you have to do multi-tasks under the pressure of time. You think you can cook awesome chicken wings? Then challenge yourself in Papa’s Wingeria Hacked ? this is the sixth game in the Papa Louie’s series published officially by Flipline Studios in June, 2012. Your chief task in this game is to work with deep fryers in order to serve tons of delicious chicken wings and spicy wings to your eager customers. If you know how to make delicious sauce, then it will be a knock out. Another thing about Papa’s Wingeria that you will love is that its visual look awesome. Considered as one of the oldest games from the series, the game still attracts players in a very unique way. 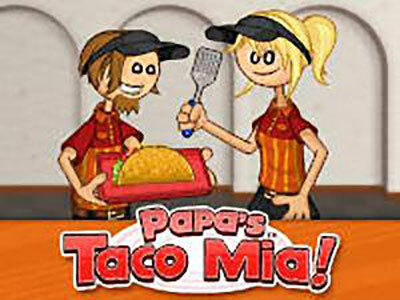 Now it’s time to show your skills of making tacos in Papa’s Taco Mia Hacked ? this game was released in 2011 and the third game of the cooking time-management series. The game overall is easy to play and adapt. At first, it looks no different from other Papa’s games. Game mechanics are also very similar, but except there are only 2 stations this time: Grill Station and Build Station (I don’t include the order station of course). After taking the customers’ orders, you need to cook the beef in the Grill Station. Remember to watch the timer ring on the stove. Next, move to the Build Station to add some toppings; and, finally, the taco is ready to be served. Want to become a pasta chef? Then Papa’s Pastaria Hacked will make your dream come true. 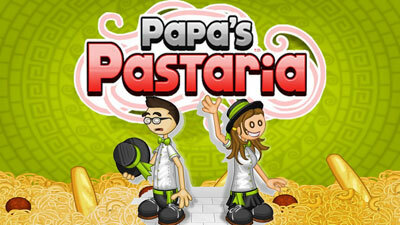 Released on December 9th, 2013, Papa’s Pastaria is the 9th game of Flipline Studios for the Papa’s restaurant management series. Like previous games, there are two default workers yet you can create your very own character as well. This time, you will work at a pasta restaurant taking place in the town of Portallini. The only difference in this version is ? customers can choose to either wait in line or take a seat in the dining room. To speed up the serving process, you are allowed to hire another worker for the taking order task. Four stations available in Papa’s Pastaria are: Order Station, Cook Station, Build Station, and Bread Station. In general, all the games above are very familiar to all Papa’s fans across the globe. As sharing the same user-friendly interface as well as gameplay, these games are easy to play and adapt. Most of these cooking games are now on the App Store for download. Which one is your most favorite game? Tell us your thought in the comment section below!